ST. JOHN, USVI (CBS USVI) — Ian Samuel showed up at the Election System in St. John Monday ready to vote. Samuel has played a big part in helping the Love City community rebuild after last years’ storms in his role with Bloomberg Philanthropies. He said the on-going recovery is another reason to get out to the polls. “With all the records that are being broken as far as the amount of people coming out to vote it shows that a lot of people in the community feel the same way,” Samuel added. The Election System of St. John said they’ve seen a record number of people coming out for early voting which started Saturday October 20thand ended Tuesday October 23rd. Just a few days, but Alecia Wells who serves on the Board of Directors with the Election System, said in that short time, voters are making a big difference. “Just ecstatic because for once we had more voters registered in the district on St. John than any other place in the territory and that’s good. And we’ve had an average of 55 or more voters per day for early voting which is wonderful,” Wells said. Wells said the increase in voter turnout was due in part to the efforts of people like Samuel and volunteers from Love City Strong who helped get the vote out. LCS hosted a voter registration drive of their own just to get more people registered to vote. 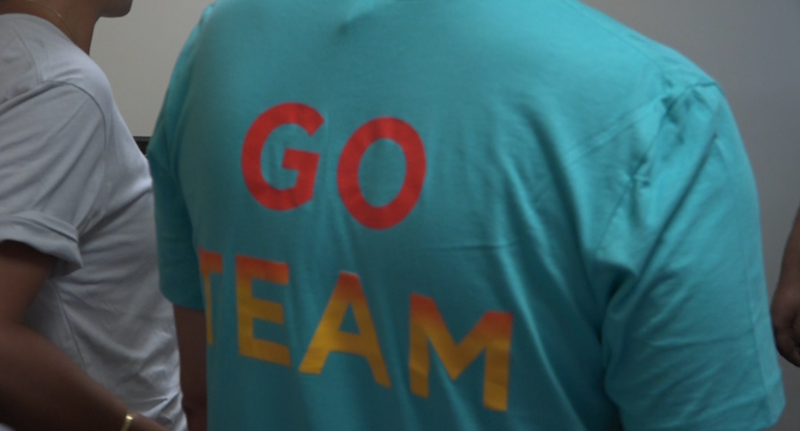 “One of the most special aspects of our organization is our “Go Team” it’s a community outreach team that in this situation went out a couple weeks earlier and handed out flyers to announce the event. We also had some really generous participation from Scoops and St. John Brewers,” Mae Agna with Love City Strong said. Community involvement and a mission to continue the recovery efforts, fueled this turn out in St. John. As they work to prove that every vote counts. Early voting ended on St. John October 23 but continued on St. Croix and St. Thomas until October 29th. Polls are open from 9am to 6pm.